Empty glass jars can be recycled to hold all sorts of goodies. Mayonnaise jars are great for collecting loose change. Jam jars are great for containing candles. Baby food jars are super for holding loose buttons. Who wants to buy new glass jars, if you can recycle ones you'd otherwise toss out? 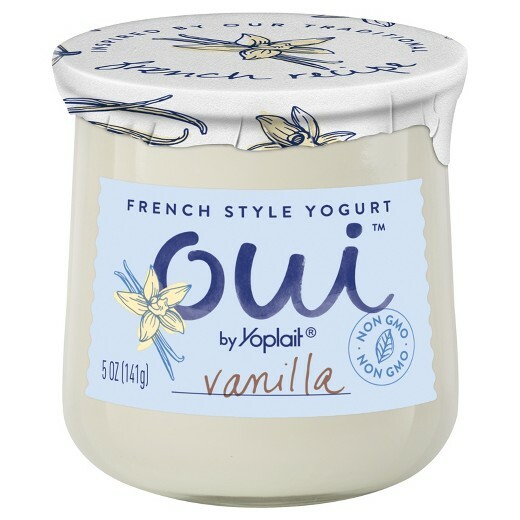 Recently, I sampled Yoplait’s Oui French Style Yogurt. I chose the vanilla one, and it was quite delicious. 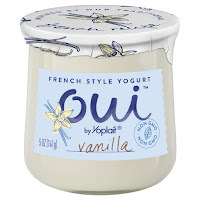 As a bonus, this yogurt comes in cute little glass jars, which can make lovely custard cups or votive candle holders. My only beef was that the empty jar was sticky with glue residue, once I peeled off the label. So I decided to wash out the empties and run them through the dishwasher. But that didn’t do the trick. The gooeyness remained. I hunted for instructions on removing glue residue from glass jars. I found lots of ideas, ranging from rubbing with nail polish remover or Goo Gone to scraping with razor blades to drizzling with various essential oils. 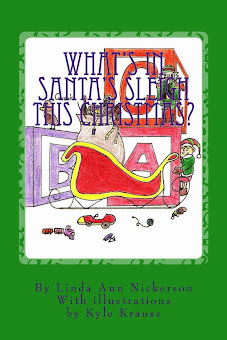 Then I read about the method I actually adapted and tried. So here goes: How I removed gummy glue residue from recycled glass jars. I poured equal parts of oil (I used Pompeian Grapeseed Oil, but olive oil has also been suggested.) and baking soda onto a paper plate. I stirred them together with a fork to make a sticky paste. Next, I used a vegetable brush to rub the paste all over the outside of the glass jars. Then I set the jars on a piece of paper toweling and let them dry for about half an hour. At this point, they looked pretty nasty. Finally, I used a steel wool pad to scrub each jar before rinsing it and running it through the dishwasher again. The jars came out shiny, clear, and clean of glue residue. 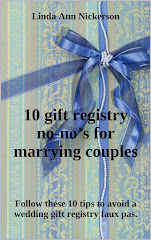 (See the top photo.) They’re ready to hold scented votive candles for a cozy dinner setting. Process photos by Practically at Home. Yoplait Oui - produce promotion photo.